Ramsgate began as a fishing and farming hamlet. Its earliest reference is in the Kent Hundred Rolls of 1274-5 as ‘Ramisgate’ or ‘Remmesgate’ from Anglo-Saxon”Hræfn’s geat”, or “raven’s cliff gap”, later to be rendered ‘Ramesgate’ from 1357. The legendary mercenaries Hengest and Horsa landed in the 5th century to herald the pagan Anglo-Saxon age in England. The Christian missionary St. Augustine landed in Ramsgate in 597 which re-established the link between England and the Christian church in Rome. In 1820 King George IV set off from Ramsgate with the Royal Squadron en route to Hanover. He was so impressed by the hospitality he received at the Kent port that he decreed it be declared a ‘Royal Harbour’ – a status that’s unique in mainland Britain. Ramsgate largely developed in the form we know today from 1749 onwards. It was intended as a Harbour of Refuge, following a violent storm in 1748. Later, during the Napoleonic wars, British troops were quartered at Ramsgate before embarking for the continent. Climb up Madeira Walk to Ramsgate’s East Cliff to see Wellington Crescent, a reminder of this period. Ramsgate’s harbour is a defining characteristic of the town. Ramsgate was a member of the Confederation of Cinque Ports, under the ‘Limb’ of Sandwich, Kent. The construction of Ramsgate Harbour began in 1749 and was completed in about 1850. The Harbour has the unique distinction of being the only Royal Harbour in the United Kingdom. Because of its proximity to mainland Europe, Ramsgate was a chief embarkation point both during the Napoleonic Wars and for the Dunkirk evacuation in 1940. Down at the waterfront, don’t miss the Sailors’ Church and, not far away, the Maritime Museum building – all part of Ramsgate’s sea-based heritage. The eighteenth-century craze for sea-bathing fuelled Ramsgate’s development. Later, in the 1820s, the town became famous as a fashionable watering-hole after the future queen, Princess Victoria, stayed several times. She went on to buy the acclaimed painting ‘Ramsgate Sands’ by W. P. Frith, perhaps as a memento of happy childhood days. The first railway came in 1846. 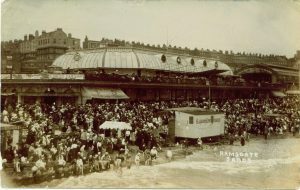 Eventually there was a station on the sands and ever-increasing numbers of visitors flocked to the town. Ramsgate’s guest list is long and full of famous names: artists George du Maurier, James Tissot and Vincent Van Gogh; writers Wilkie Collins and Jane Austen, to name just a few. There are more famous names too. Over on the West Cliff, near Nelson Crescent, the pretty Spencer Square and Regency Crescent, you can see the house of renowned architect Augustus Pugin, designer of the interiors of the Houses of Parliament and leader of the Gothic Revival. He built his house, the Grange looking out over the sea, and the beautiful St Augustine’s Church alongside. Back on the East Cliff, the celebrated Jewish philanthropist Sir Moses Montefiore lived for many years at East Cliff Lodge, dying in 1885 at the age of 101. Although the main house has gone, the charming Regency Italianate greenhouse in Sir Moses’ grounds can still be seen in the King George VI Memorial Park. Ramsgate has had its share of both World Wars In WWI it had the dubious honour of suffering the first air raids, from Zeppelins, when much damage was suffered. It would also have acted as an ‘out port’ to the new ‘secret port’ of nearby Richborough, constructed from scratch to serve as a supply base for the army at the front in France. Despite considerable bomb damage in World War One and World War Two, Ramsgate still played a heroic part in 1940 in sending some of the ‘little ships’ to Dunkirk. The town then welcomed some 80,000 soldiers, safely brought back from France. 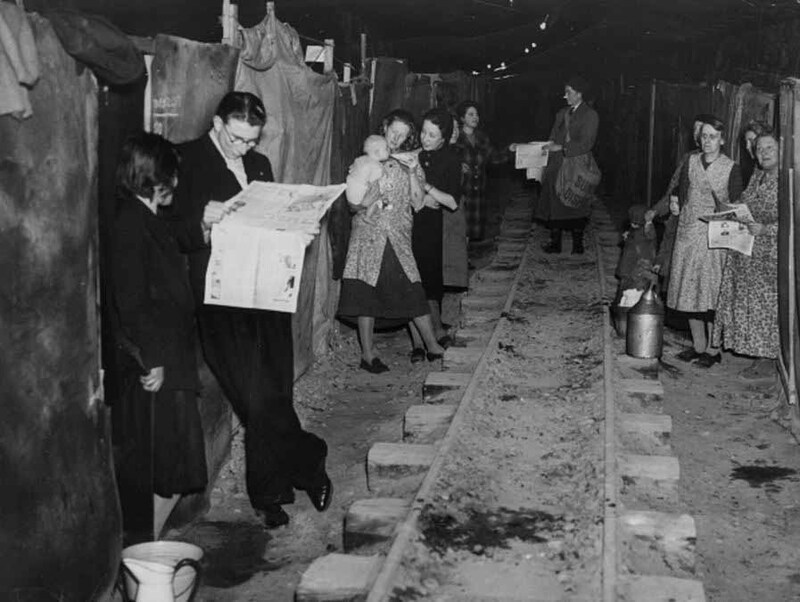 Learn more about this at the Ramsgate Tunnels and the Defence of the Nation Centre. For an evocative sense of this period, head to the nearby Spitfire and Hurricane Memorial Museum and the RAF Manston History Museum. 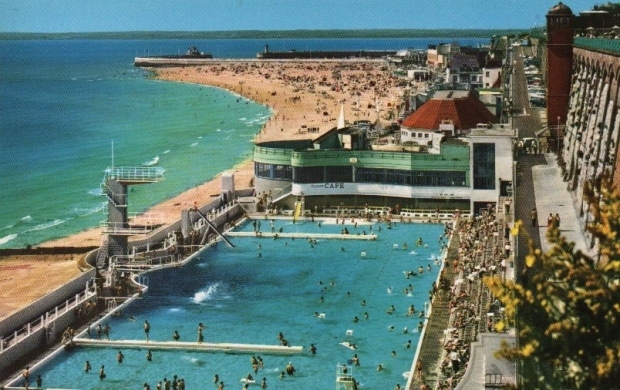 In the 1950’s and 60’s Ramsgate attracted thousands of families. Coach loads of tourists would arrive to spend their Summer holiday enjoying the Ramsgate Main Sands and the various attractions in the area. The 1970’s saw a decline in visitors with the advent of cheap flights abroad. Today Ramsgate as a seaside town is undergoing a revival. It is developing a thriving Music and Art scene and with its continental vibe is attracting visitors from near and far. Many of these are genuinely surprised to discover what a wonderful town Ramsgate is with its architecture and history. The town is becoming recognised for its abundance of good Regency, Georgian and Victorian properties set around a variety of their own squares. Today’s Ramsgate bears witness to this history. Locals have a strong sense of identity and independence of character. An upbeat, lively town, with a growing café culture, Ramsgate knows it can look to the future by building confidently on its impressive past. Discover more about Ramsgate’s History and Heritage through these organisations – Pugin Society and Ramsgate Society.